StudioBinder provides users with Reports that are automatically generated by the data you input throughout your project. 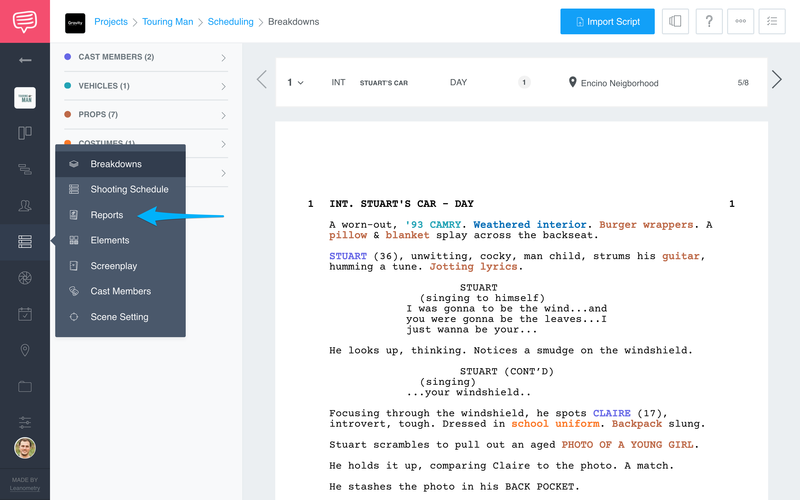 StudioBinder uses your script, tagged elements, and Stripboard to automatically generate detailed Reports for a variety of different uses. Once you have imported your script and tagged elements, you can view and print these Reports. 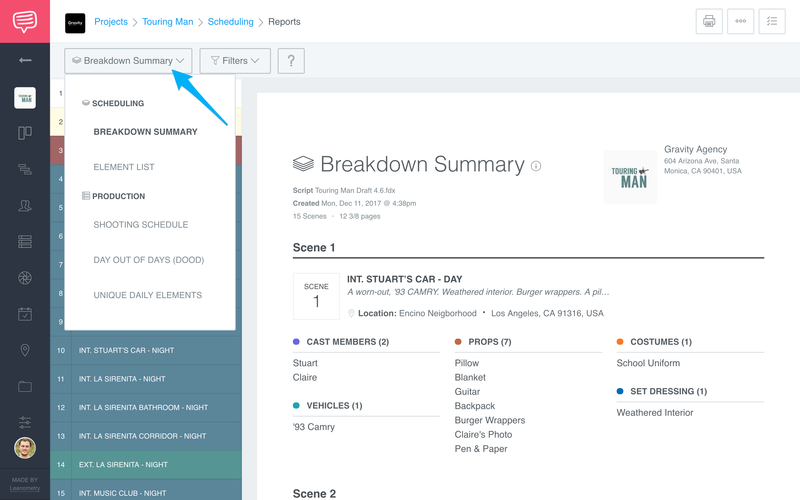 Go to Reports in your Scheduling side bar menu. 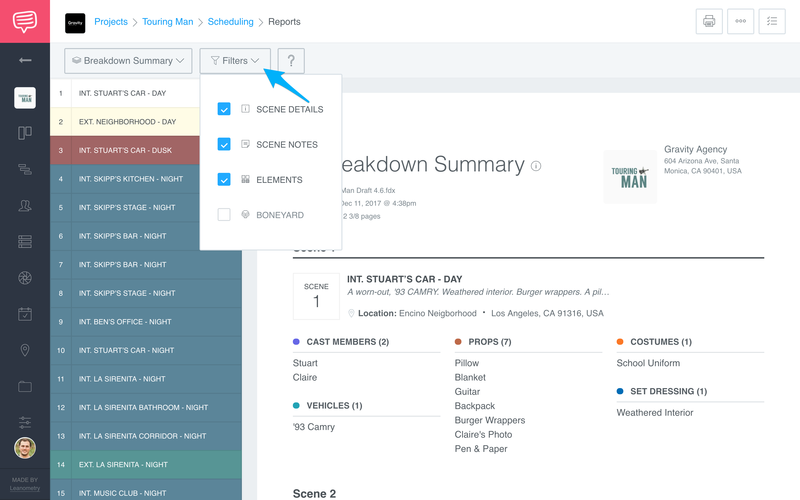 StudioBinder will bring you to your Breakdown Summary Report by default, but you can Navigate to different reports by clicking the Drop Down Menu found in the left hand corner of the page. Then click a Report to access it. You can also decide what to include, and what not to include in your Reports by choosing which filters are displayed. Simply Click the box next to a Filter to toggle it on or off.